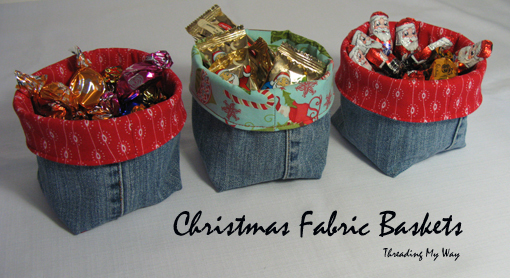 Once again, I've used the legs from pre-loved jeans, to make some denim fabric baskets. These little baskets could be used for many things, but I'll be filling mine with chocolates. 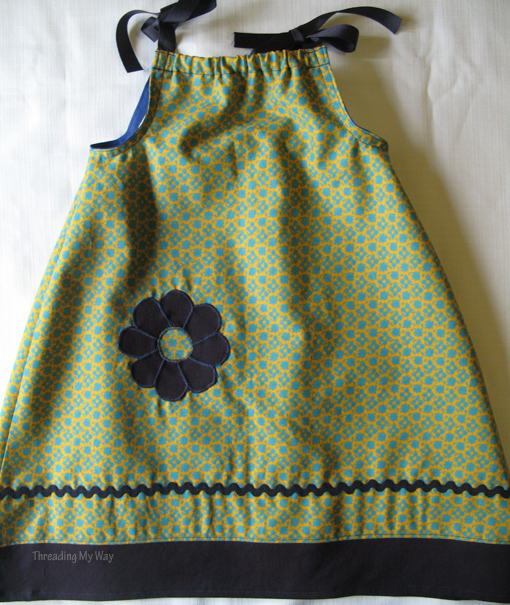 Last December, I made my first pillowcase dresses for Dress A Girl Around the World. Yesterday, I saw some photos of a little girl in the Philippines wearing one of those dresses. It was a wonderful feeling!!! There were so many projects added to the Threading YOUR Way with Threading My Way link parties this week. I've thoroughly enjoyed reading through them all, but it was very hard to choose just a few. 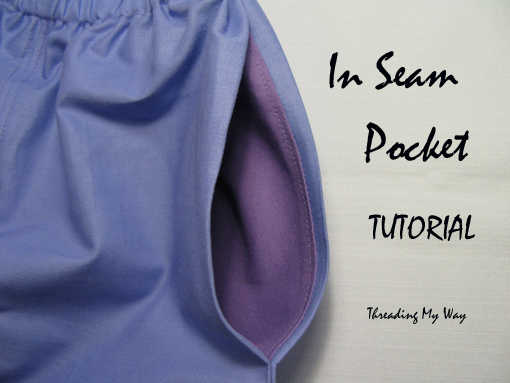 An in seam pocket is so easy to add to pants, skirts or shorts. 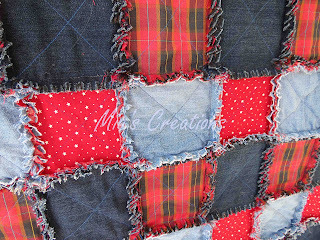 This tutorial will show you how to easily add an in seam pocket to a project you are making. 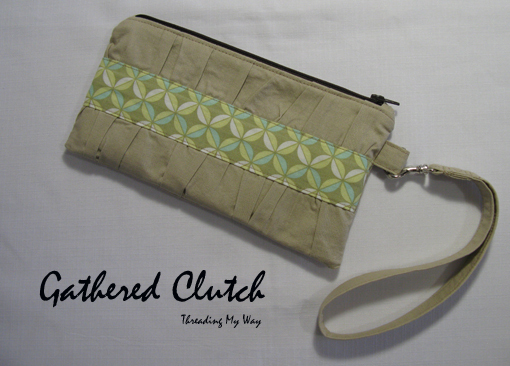 This is my version of the Gathered Clutch, by Anna from Noodlehead. I've had the pattern for ages, but this is the first time I've made it up. The last 3/4 pants I made were a great fit and well received, so I've made another two pairs using Butterick B5019. 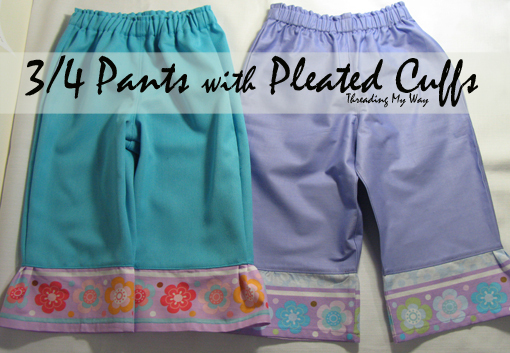 This time, I've shortened the pants and added pleated cuffs; an easy way to pretty up some otherwise plain fabric. 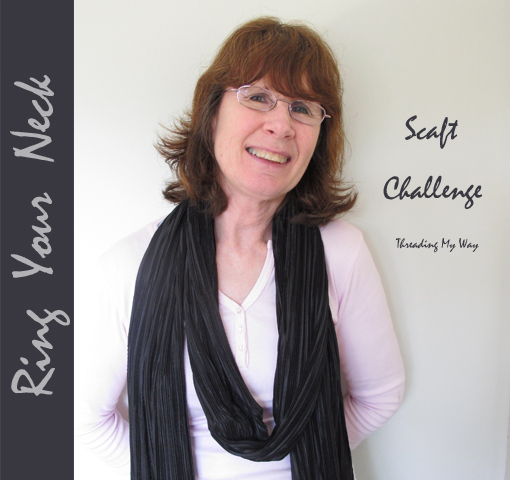 It's only half way through the month and I've finished my entry, for the Ring Your Neck Scarf Challenge. While the northern hemisphere is heading in to Winter, Summer is almost here in Australia. It's definitely not scarf wearing weather at the moment!!! I love wearing scarves for warmth in cold weather and have a ton of them in different colours and styles; some knitted, some fabric. I definitely don't need any more. No one wants to have to go to hospital, least of all kids and especially not at Christmas time. 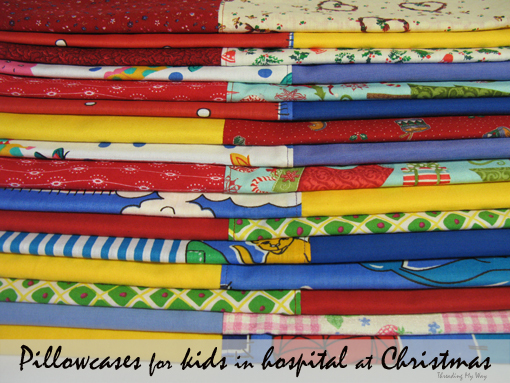 To spread a little cheer to children spending time in a hospital over Christmas, Kristy, over at Hopeful Threads, is running Stockings of Cheer, the sew-along for the month of November. The trousers and shirts are the ones that particularly interest me. 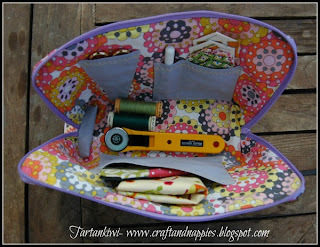 An awesome sewing case and tutorial added to the Purses, Clutches and Pouches link party. I could have done with this case at a class I attended this week. It would definitely have kept everything contained and easy to find. Here's a sneak peak of the first Christmas outfit I've sewn for this year. I have to say, I'm thrilled with how it turned out. 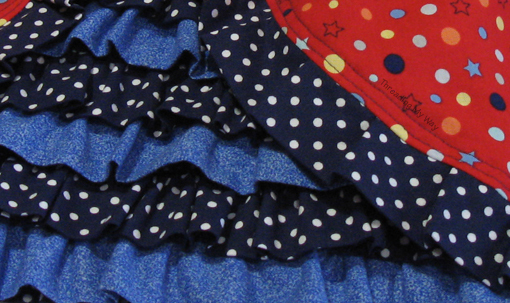 If you'd like to see the whole outfit, head on over to the Sew Can She blog, She Sews! More and more I find I am receiving emails from bloggers who host link parties. The vast majority do the correct thing and include a paragraph asking us to let them know if we don't want to receive the email. I don't mind receiving the emails at all, but do appreciate the fact that the sender acknowledges I mightn't want to receive them. I do, however, object to receiving bulk emails, where my email address is visible to all. Again, most bloggers do the correct thing, but increasingly, I am receiving bulk emails with my email address in the To or Cc fields, where it can be seen by every recipient (often over 100) . An awesome quilted pouch and free pattern linked to the Purses, Clutches and Pouches link party.